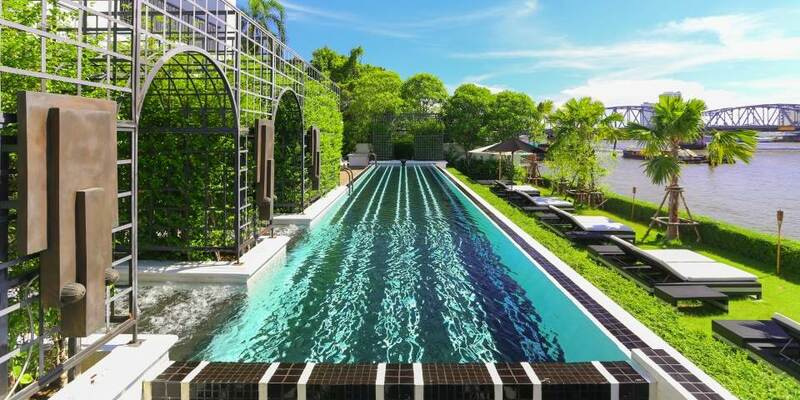 This beautiful boutique property is hidden away from the hustle and bustle of downtown Bangkok, yet close to enough to historical palaces, temples and museums to explore with ease. The cuisine at The Siam concentrates on bringing out the big flavours, by using only the finest and freshest of Thailand’s produce. Wherever possible the dishes are made using organic produce with the emphasis on seasonality. Chon, or spoon in Thai, is the signature restaurant and cooking school where guests may enjoy delicious local cuisine in the amazing setting of three old Thai teakwood houses which once entertained such famous names as Jackie Kennedy and Roger Moore. Guests can absorb the feel of the Art Deco era, while dining on International cuisine, in the Deco Bar & Bistro with its soaring ceilings, mirrored staircase and outdoor roof terrace. Café Cha is fast becoming a favourite place to stop for coffee; set in the gardens of the art deco inspired lobby it offers delicious croissants, pastries, or full Afternoon Tea with champagne. The Grand Palace, Wat Phra Kaeo ; the Temple of the Emerald Buddha and many other historical sights are easily accessible by boat directly from the hotel, but there is also much to experience within its confines when the sightseeing is finished. The interior resembles a fascinating private museum, with amazing collections of cameras, artworks and antiques to be seen at every turn. There is a library and cinema, complete with plush folding seats, where guests can enjoy movie nights. The hotel‘s gymnasium is the first one in Bangkok to be fully equipped for the traditional sport of Thai boxing, or Muay Thai. Yoga and Tai Chi classes can help ease the stresses of everyday life; an infinity pool with views of the river is the place for a lazy dip while the Opium Spa is a haven of wellness and calm, where Sodashi products are used to impart a sense of wellbeing to both body and mind. 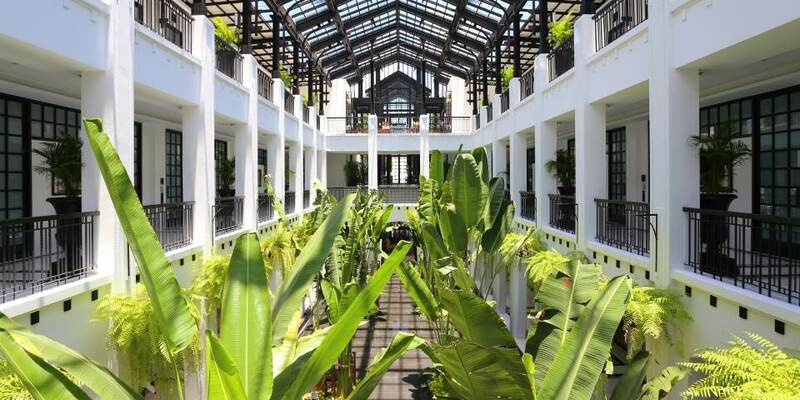 The Siam is a delightful boutique hotel which has every modern amenity while still reflecting one of Bangkok’s greatest eras. Each of the 39 spacious suites and pool villas is individually designed with super king size beds, luxury furnishings, high ceilings and Art Deco style living rooms. The bathrooms are airy and spacious with walk in showers and deep soaking tubs. 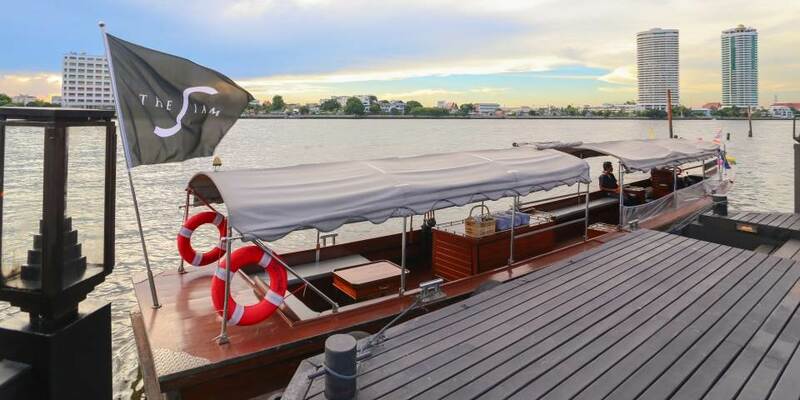 All of the suites are situated in the main residence near to the spa; gym and library, on the very top floor the 6 Riverview Suites afford amazing views of the magnificent Chao Praya River. The 10 pool villas are perfect for those seeking absolute privacy, each has a private swimming pool set in a lush internal garden and an open air roof terrace, perfect for sunbathing. 6 of the villas are set amongst the gardens and have views of the courtyard, while 4 are in a fabulous location on the riverfront. One pair of the villas is adjoining, making it a really good option for families or friends. 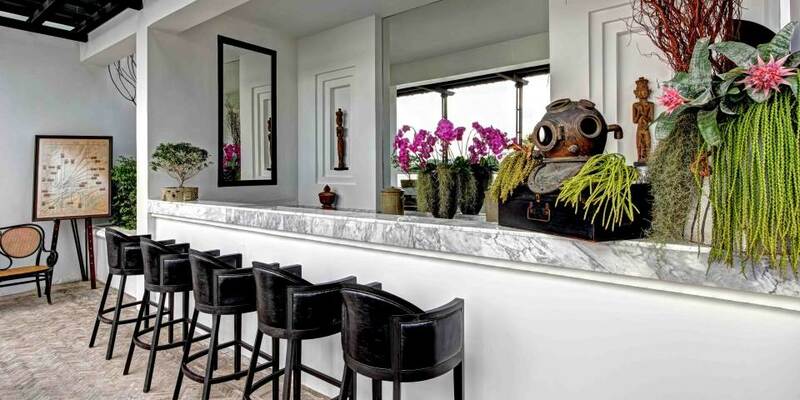 For those seeking the ultimate Thai experience, Connie’s Cottage is unique. Brought downriver river by curio collector Connie Mangskau and the renowned silk merchant Jim Thompson, from the ancient capital of Ayutthaya, this wonderful century old house has now been transformed into a retreat with all modern comforts, while still retaining its historical charm. At ground level a living room surrounds a large swimming pool while upstairs there is a private balcony, a bedroom with a four poster King Thai bed and en-suite bathroom.